Exams should not be the only means by which students’ abilities are assessed, especially not when validation of a child’s abilities is often based on their academic performance. 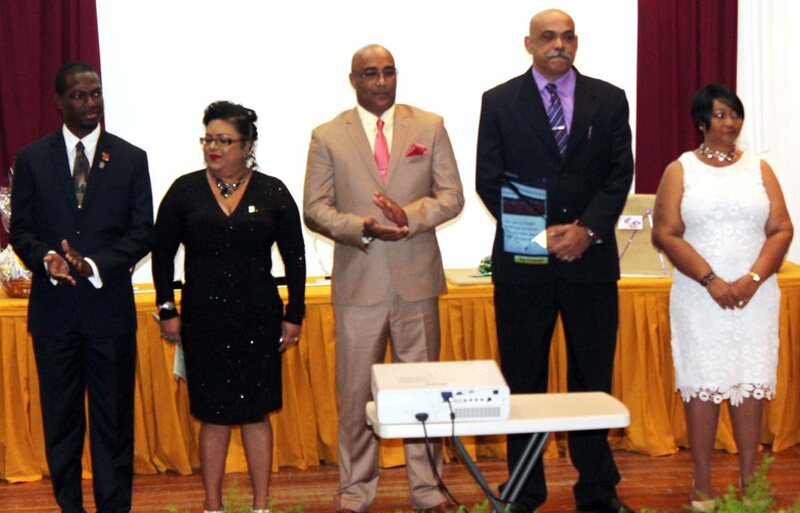 The warning comes from former education minister and current chairman of the Registration Recognition and Certification Board, Augustus Ramrekersingh. “Minister Garcia recently made the point that we are obsessed with testing rather than learning and development. Let’s face it, testing and examinations have their place but they are not the only means of judging achievement. 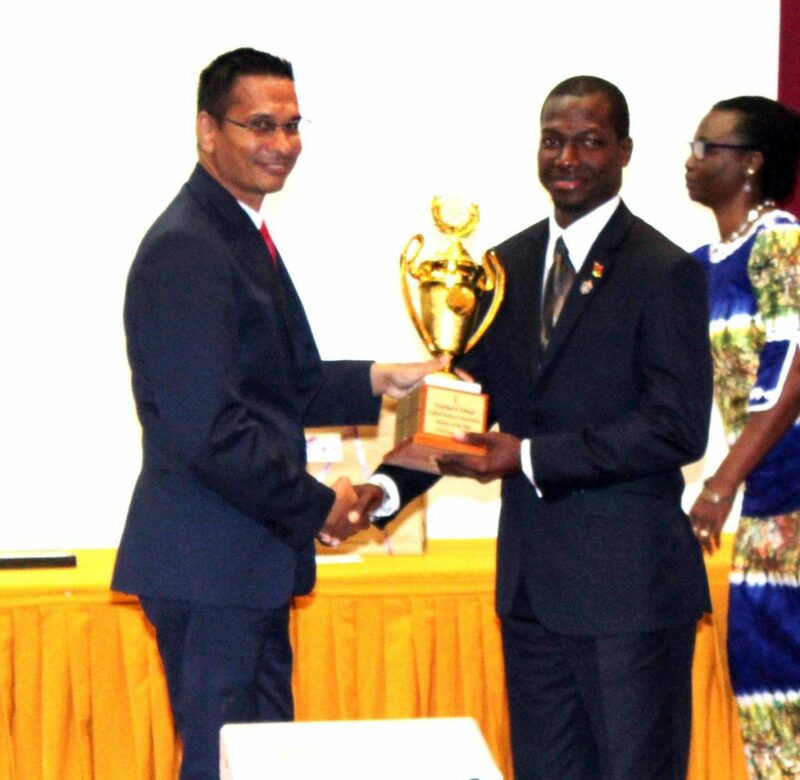 They are very narrow and we have to devise means of certifying students which go beyond conventional exams and tests.” Ramrekersingh was speaking at the Trinidad and Tobago Unified Teachers Association’s (TTUTA) 2017 Teacher of the Year Award Ceremony, held last Thursday evening at the Trinidad and Tobago Bureau of Standards, Trincity Industrial Estate, Macoya. As several teachers in the auditorium applauded the need for more emphasis on learning rather than exams, Ramrekersingh recalled that during his tenure as minister from 1992 to 1995, the National Test was developed as an assessment tool. Lynsley A Doodhai , president of TTUTA presents the Frank B. Seepersad Memorial Teacher of the Year to Adriel Benjamin. It was taken by all Standard One and Standard Three students in both public and private primary schools but Ramrekersingh lamented that prior to its suspension, the National Test had become something many students prepped for the same way they do for the secondary entrance assessment (SEA) exam. The National Test was last held in 2016 after Education Ministry consultations indicated that there needed to be greater emphasis on an assessment for learning. The 2017 Teacher of the Year is Adriel Benjamin of St Paul’s Anglican Primary School in San Fernando. Benjamin received $10,000, a laptop and a challenge trophy while his school received $10,000. The four other finalists each received $8,000. Reply to "Former education minister denounces emphasis on assessment via traditional exams"